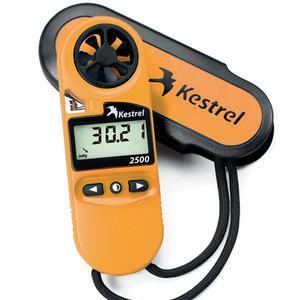 Similar to the Kestrel 2000 but adds in a pressure sensor for altitude and barometric pressure. A three-hour pressure trend indicator (an arrow on the screen showing the trend) helps you predict fish and wildlife activity and know when the weather's going to turn nasty. Kestrel makes very advanced meters, like the 4500 and now Ballistic specific models for shooters, snipers, and hunters. The 2500 is a very common one we sell for shooters as a less expensive option with really, all the main features a marksman would need. Also available in NV (Night Vision). See this blog on Understanding NV to see if its right for you..
4. Bila sudah OK dan tidak ada masalah baru dibayar Pembayaran ditempat bisa dalam bentuk tunai ataupun Transfer .